Join the discussion with industry experts on November 16 in Green Hall. Choose the topic the most relevant to you and sign up for an hour-long moderated open discussion. Registration on the first come-first served basis. 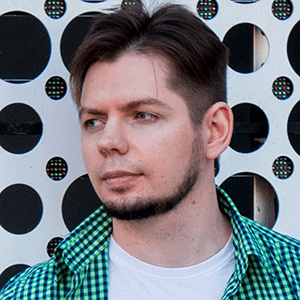 Przemyslaw Solski is a Senior Game Designer at 11 bit studios. He started his career in game industry 5 years ago from free to play games. 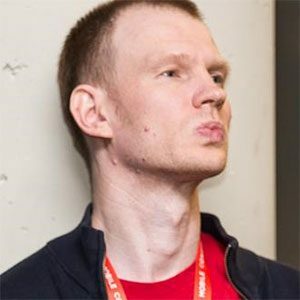 Now he is one of the main designers creating Frostpunk. The session will focus on the creative process of the last expansion for Frostpunk: The Fall of Winterhome. I want to tell how to make scenario for city builder game where player has to lose, but at the same time feel like a winner. 3 years with KPMG consulting, 9 years in the Private Equity sector focusing on entertainment, 1 year with Perfect World as global Biz Dev. This session will focus on the Chinese market, the new era of Chinese publishing, working with China steam platform. 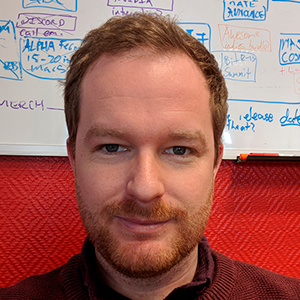 Responsible for marketing Dead Cells (1M+ units) and consulting on Northgard (700K+ units) , I’ve worked on triple I titles and with one man indies. 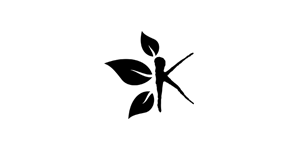 I focus on strategic planning and management of marketing campaigns from the first GDD to the final launch and beyond. This talk will look at the way we crafted the marketing strategy for Dead Cells and sold over 1M copies since launch. We’ll focus on how marketing should inform every aspect of your development and how that information can help you make the right game for the right players. We’ll dive right down into the forgotten 3 ‘P’s of game marketing. 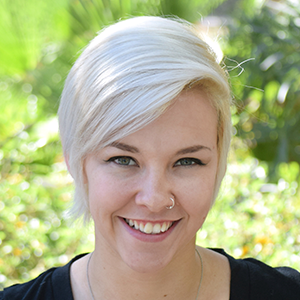 Rose Thomas is a level designer on King’s Pet Rescue Saga. Previously she worked at Disney Interactive on mobile games such as Inside Out: Thought Bubbles, and the AR experience, Star Wars: Jedi Challenges. King’s Pet Rescue Saga has been live for over 5 years. But what has kept PRS players so engaged over the years, and just how much has it changed over the years? We as designers are constantly striving to breathe new life into PRS via level design and experimenting with new features in order to give our players the best experience possible. Evan began working in the division of Investment and Partnership at NetEase Games 3 years ago, since then he’s been helping indie studios across the world to get funding and footing in China. 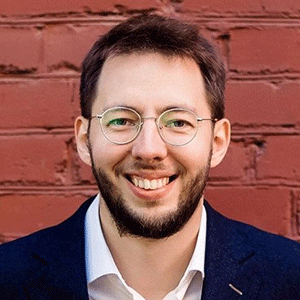 Alex Nichiporchik will host the fireside chat dedicated to the state of Chinese Game market with Evan Liu, Senior investment & Partnership Manager at NetEase Games. NetEase company worked on the series of Fantasy Westward Journey, and such games as Tianxia III, Heroes of Tang Dynasty Zero и Ghost II. 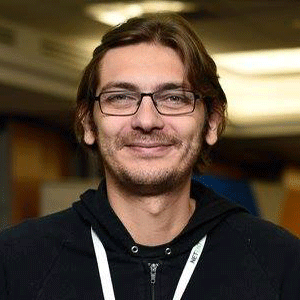 Sergey Lerg is an active developer in Defold and Corona community. He has worked at Corona Labs and now runs Spiral Code Studio a small independent game studio. A frequent speaker on Lua, Corona and Defold at various conferences. As part of the workshop you will learn how to work with Lua engines, in particular with Defold. You will hear a story about rendering, connecting shaders, working with 3D models in Defold, as well as a combination of 2D and 3D. 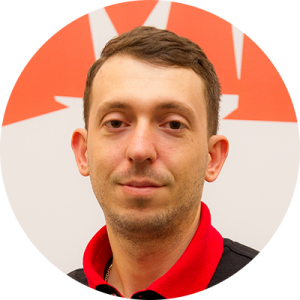 During the workshop Sergey will share info about the limitations, other features of the engine and cross-platform compatibility. There is also going to be a practical part with the creation of a 3D game. Bring laptops. 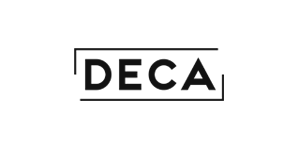 Stephen Lee is the Head of Business Development at DECA Games, a publisher completely focused on live operations and on helping developers to reinvigorate their games. 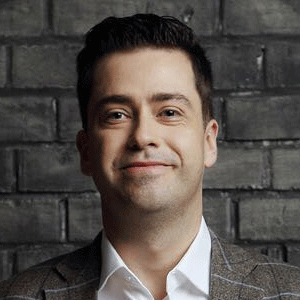 Stephen was previously the Executive Director and Head of Publishing at 6waves. Everyone knows that Marketing is critical to a game’s launch. But what else can you do after launch to make sure your game has the best chance to succeed – not just for now, but for many years to come? In this session, we’ll share how we were able to grow a game’s user base and revenues years after launch by focusing on Live Ops. AR Games: Gimmick or Opportunity? 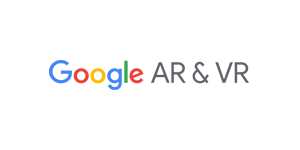 Maria is leading gams vertical for Google AR and VR platforms. In her prior role at Google, Maria established such programs as Indie Corner, helping indies grow on the Play Store. Before joining Google, Maria lead mobile publishing at Kongregate. AR helps to create an enhanced playground around players surroundings. While this premise opens up endless opportunities for innovative gameplay, only a few games take advantage of it right now. 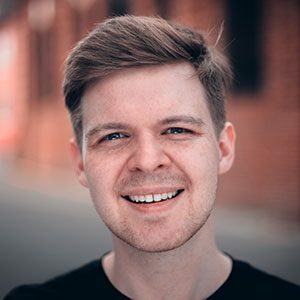 This talk will give an overview of mobile AR gaming trends and insights from Google first ARCore Game Jam. 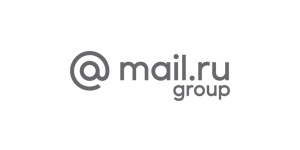 Rodion Kotelnikov is a Head of Mail.Ru Group Games Platform. 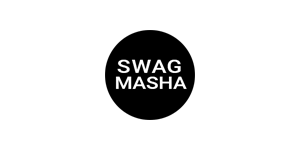 We are the creators and developers of the largest gaming platform in Russia and Eastern Europe. In this report I will tell you about our experience in launching this platform, the challenges developers encounter and the prospects for the market. 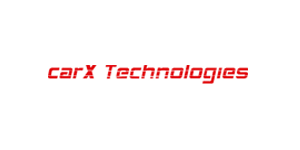 15+ years of experience helping to create products including AAA Video Games and telecommunications solutions. 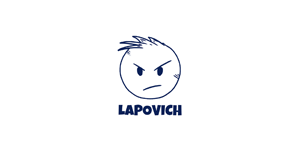 Nowadays serving as VP of Technology, in charge of developing a long term strategy for the Gaming Studio. Join us in this eSports session including an interactive exercise to explore together the power of real time interactions between the complex network of elements on the eSports environment: event organizers, streaming services, content creators, game studios, players and spectators. 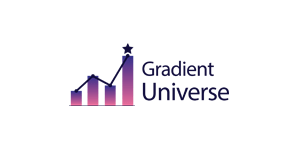 Oxana Fomina, CEO, Gradient Universe S.L. 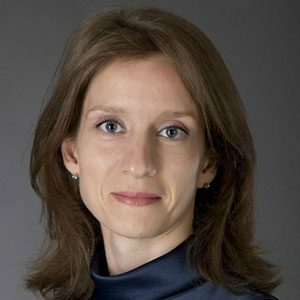 Oksana Fomina is an analyst and the CEO of the company Gradient Universe. She helps developers improve player retention and increase game revenue. She has worked in the gaming industry for over nine years. 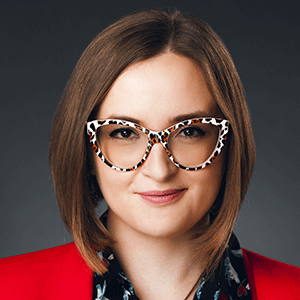 Before opening her own company, she was the Marketing Director for the company Puzzle Lab. Retention is the key metric, on which a game’s revenue and return on investment depend. You learn from the presentation about how to increase a game’s revenue by analyzing player behavior and by employing various methods of retention using the game PixWords as an example. 17 years in game development. Held leading positions in Russian and international video game companies: Novy Disc, Nival, Obsidian Entertainment. 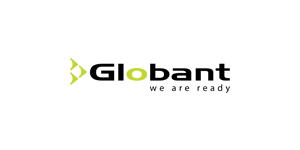 Expert in security and optimization of client applications. Blockchain and crypto (currency) are the technologies where most people are prone to skepticism. However, blockchain can transform into a tool to enhance monetization both in games and infrastructure around games, such as clans. The presentation will offer a case study of blockchain integrations into games of various genres: from CCG to MMORPG. Sam joined Snap as the founding member of Snapchat’s Global Online Sales team in September 2016. 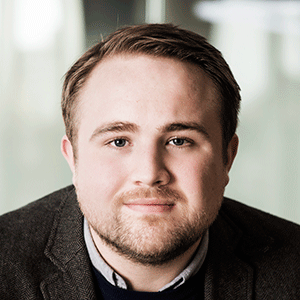 As Snapchat’s Regional GOS Lead, Sam manages the team and leads the EMEA efforts in supporting businesses in the region to navigate new platforms and exceed their performance goals. 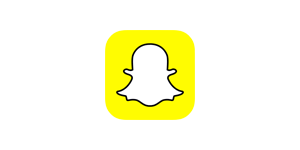 Snapchat has developed stacks of tools that enable marketeers to grow and communicate with their consumers in an effective way on the platform. 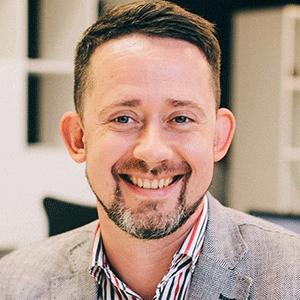 Sam Bevan, Snapchat’s GOS EMEA Lead, explains how to work across the continuously evolving and interconnected set of tools that share a common foundation for generating app installs and increasing revenue. Former Editor-in-Chief at ‘PC Games” magazine and Kanobu.ru. 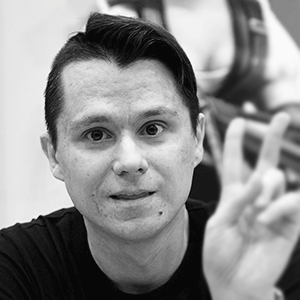 2013-2018 – Marketing Director at Larian Studios, where he launched Divinity: Original Sin and Divinity: Original Sin 2. In 2018, founded the White Label agency, his current clients include Larian Studios, Deep Silver, Mail.ru Group. Can you do your own PR without hiring an expensive PR Agency? Yes, you can! We will talk about how to reach out to press directly, how to prepare a pitch, how to plan a PR campaign, which assets to have at hand, and other tips on doing your own PR on 0$ budget. 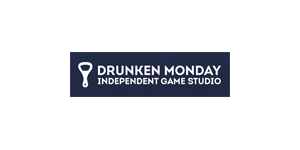 The talk will share some case studies from Divinity: Original Sin 2 launch campaign. 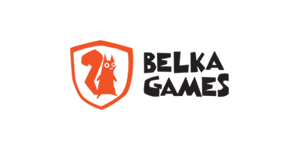 Belka Games has realised charity in-game event in partnership with UNICEF in Clockmaker game. 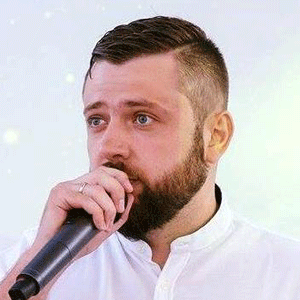 Yuriy will tell how to prepare and publish such kind of event from different sides: business game-design publishing And finaly, Yuriy will share results of this charity event. Is it possible to switch to fully automatic advertising procurement with bloggers? How to work with opinion leaders in the face of fierce competition? The role of creativity in modern advertising and many other questions will be discussed by leading players in the market of influencer marketing. 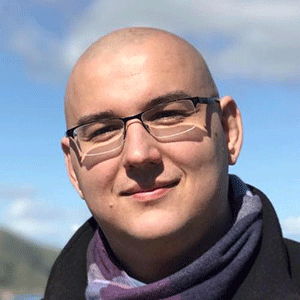 Aleksey Savchenko is licensing manager for Epic Games in Europe, who is also busy with numerous projects to assist UE4 developers on that matters. 19 years in industry, previously have been working with production, communication and marketing. This presentation will feature the overview of Unreal Engine 4 accomplishments of 2018 and plans for 2019. The session will also include few big partnership announcements that are meant to help UE4 developers in the next year. Where to look for a legendary team? 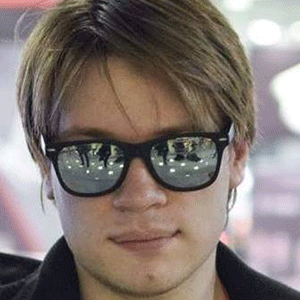 Roman Zorin is a producer with Playkot company. He took part in creation of several social hits (Supercity, Warzone, Knights: Clash of Heroes) that were consistently present in TOP100 grossing of Facebook worldwide. His most recent game is a mobile RPG “Age of Magic”. 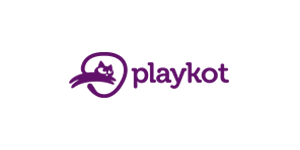 This session will focus on the principles that allow Playkot to create epic social and mobile games faster than our competition. I will share the way we form the core teams, hire and integrate fanatics, give epic first task to every new team member, build work process, define producer responsibilities and attitude to ownership and freedom. 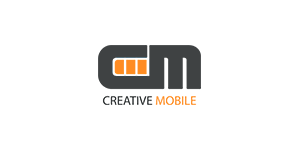 As one of the founders of Creative Mobile, Sergey Panfilov went through most of the processes in the company, from writing code and managing the creation of the product, to marketing and UA. In recent years, mainly engaged in the development of the company. Successful games sooner or later go to the stage of support. 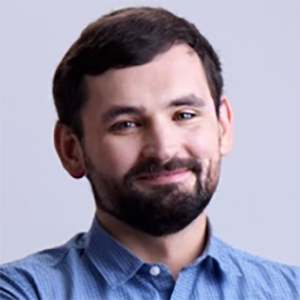 Sergey will talk about the reasons why Creative Mobile fundamentally changed the support processes and will share the experience of using the new approach. Why do we keep making games, if we all will die eventually? Richard did not want to go to a higher education institution and instead spent 8 years working on YouTube. Now, as a developer, he wants to share useful experience with other developers. Right now he is working on Caliber. Story about creative anguish. How to stop suffering for your future and happily develop games. 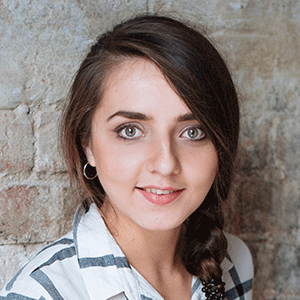 Evgenia Agranomova has 9+ years experience in development and games QA with Oberon media(I-play) and Innova. She’s currently responsible for all Innova’s games and 4game platform releases, including well-known titles like Lineage II, Blade and Soul, Aion and Point Blank. 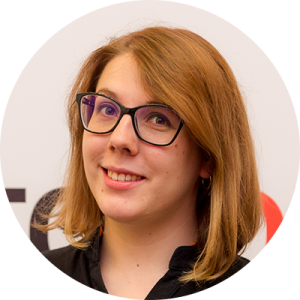 Konstancja Glinka is Senior QA Coordinator at Innova with 6 years experience in Games QA and focus on new Innova games launches. She has worked on Lineage II, Blade and Soul, Kingdom under Fire II and plenty others. 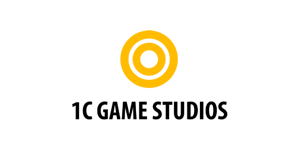 As an experienced game publisher focused on huge MMORPG/FPS games with 10 years in the field, we came up with efficient processes that allow predictable game localization, testing and launching plans of high-quality products. This presentation is focused on our practical approach to complex and unspecified games publishing with real-world examples. 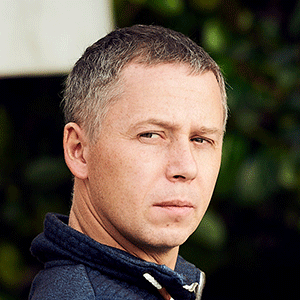 Vladimir Markov is Head of the Studio Nord (Mail.ru Group). Seasoned professional with over 18 years of experience. 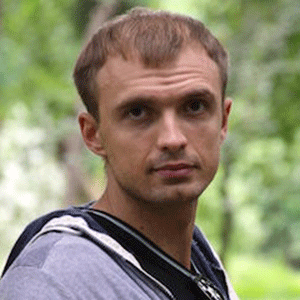 Vladimir took part in the development of such gaming titles as Allods Online, Skyforge, Jungle Heat etc. 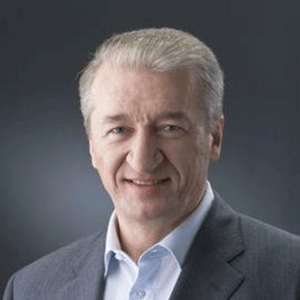 In 2012 Vladimir was appointed as Head of the Studio Nord. 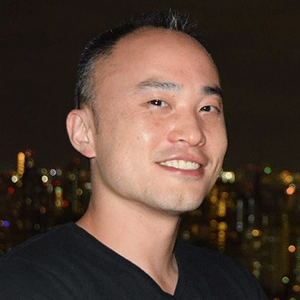 Under his guidance several successful mobile projects were released, including mobile hit Hustle Castle which reached 30 million registered users globally. 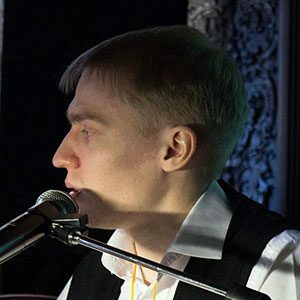 In my speech I will explore Hustle Castle’s concept and tell you how we made a game that got more than 20 million players in less than a year. I will also look at the hurdles we encountered when operating the game and the different problem-solving strategies you can employ. This event will be held in Russian. Discussion Panel: Game industry today - what changed? During the panel, participants will try to figure out how is the game industry, which many of you managed to catch before 2008, different from what we see today. It will cover the topics of how the Russian market was born, what marketing methods were used, how game journalism developed. Also, the discussion will include questions about the development at the present stage, the change of the publisher concept and the entry threshold into the industry. Drawing more than 23 years, 10 of them in game industry. 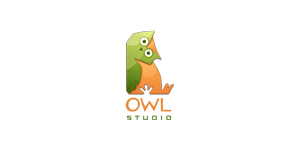 In 2015 I founded Owl Studio, an art outsource company working with the greatest Russian and European game development companies. In 2016 started regular offline and online educational activities for artists. Then we are working on key art or some marketing arts it’s always an issue to find a common point of view with both marketing guys and artists. In this speech I would like to describe the marketing part of this story in the language of artists. More than 10 years in industry as 3d artist. 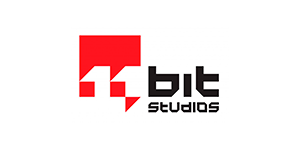 Participated in such projects as MassEffect, DragonAge, Quake, Doom, Halo, Batman, Evolve, LawBreakers. Supervises a team of experienced artists working for the most difficult tasks – the main characters, weapons, etc. Redesign UI 16 times? Challenge accepted! 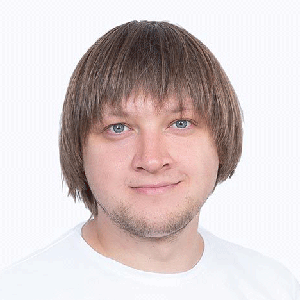 Sergey Tkach is a specialist in web and mobile interfaces. After 8 years of working in the industry, he moved to the gaming industry and began to transfer the accumulated experience into games. 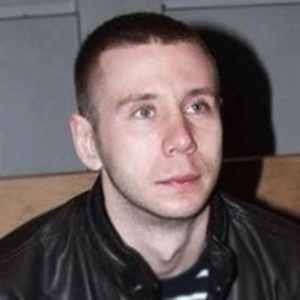 He is a regular participant of Kirill Zolovkin’s team for developing games and software for developers. Have made a great game, but the players can not understand it? Meet his Majesty the Interface! 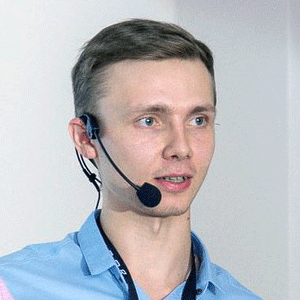 Sergey will show his own cases for solving interface problems in games, as well as give a couple of tips. 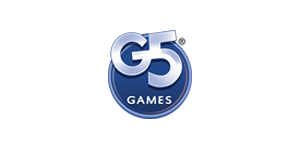 Art director of Mach3 & Puzzle games in G5 Entertainment. I supervise cartoon-graphic projects and have huge experience in 2D, 3D and vector art, as well as in animation and FX. I’ve been creating games for 15 years. Ivan will tell what the Art Department of Free-to-play project faces after the release and how to effectively solve the problem of TLE regular updates that require a unique graphical content.cter, but one big leap for a player who gets the first impression of the animations, graphics, physics, and of course sounds of the game with the first character’s footstep. In this talk, the audience will get the tips and tricks of creation and Unity3d integration of the footstep SFXs. How not to bore your player during tutorial? 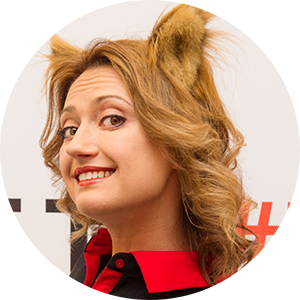 Olga currently works as a UX Expert at Gismart, world leader in Music Gaming apps. 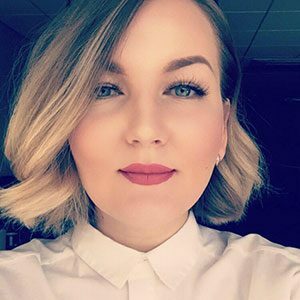 She has been doing Game UX for over 9 years now and has worked on multiple mobile games, including World of Tanks Blitz. In this session we will talk about fundamental rules of building tutorials for mobile games. We will try to answer following questions: How one choses learning methods? How one would introduce complex mechanics without pages of text? How can we make player finish the session without every exhaustion? 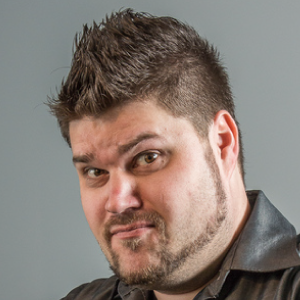 Jason has been working in middle ware for the games industry for more than 11 years. 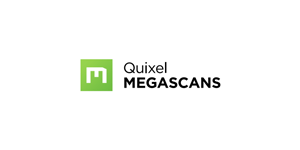 With solid experience in companies such as Hansoft, Simplygon and Quixel Megascans, Jason has experience from project management, 3D optimization and building the world´s largest library for 3D scans. High quality 3d scanned data is becoming more common. How are studios leveraging this data to build faster art production pipelines and deliver AAA quality at lower costs, or visually breathtaking quality on lighter platforms. 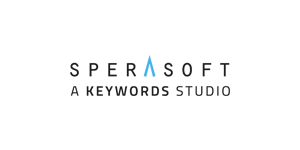 Together with an ecosystem of tools and integrations into game engines. I work with 3d graphics from 2008. Several years ago I started trying to improve my process and that brought me to Procedural Generation in Substance Designer. 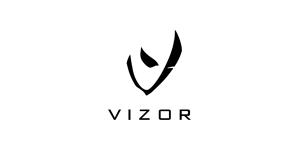 Now I work as a Technical Artist at Vizor Games. I going to talk about my experience with FX map and how I created Perspective FX with it and how it evolved into Spacing FX I will show how you can solve problems with FX map and that nodes you create evolve and inspire you. 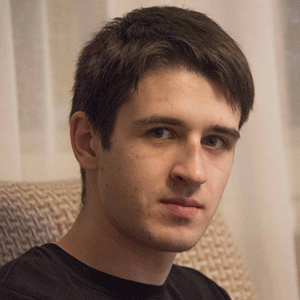 Alexander comes from St. Petersburg, he’s 26 years old and he’s Animator at Sperasoft. 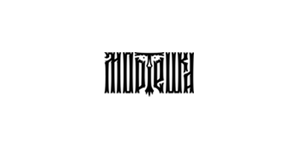 He’s more than 4 years in animation, participated in development of such games as Quake Champions, Assassin’s Creed: Oddisey, as well as working at Melnitsa studio. The session will focus on the difference in the development of animation on “animation” projects (cartoons, ads and movies) and game projects (indie, AAA). I will tell about the difference in approaches to classical animation goals, the primacy of game design over animation, as well as the importance of studying the engine by animators. The new World of Tanks soundtrack was composed by Andrius Klimka & Andrey Kulik and recorded by the Prague Symphony Orchestra and aims to create military tank music that is as authentic as possible for each map. Drawing inspiration from the music all across the globe, the music aims to match its locale. The talk is meant for all who are involved in setting up and designing music for games. How to start design process, invent unique branding, manage iteration processes and setup development pipelines. 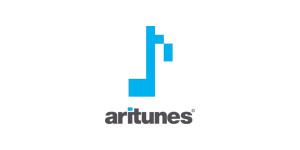 Useful for in-house creative leads, producers, designers to audio outsourcers and composers. 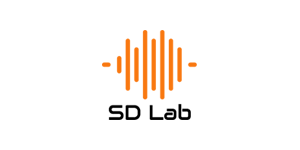 Roman Fedotovsky is the founder, lead sound designer and sound producer of SD Lab Company. He began in audio production 9 years ago, about 5 years working in the gaming industry. 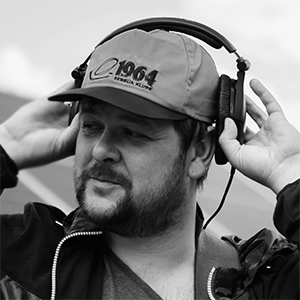 At the moment he is audio director of the Backyard team and is working on the project “Lost In Bardo”. The session will focus on the implementation of sound in Unity. 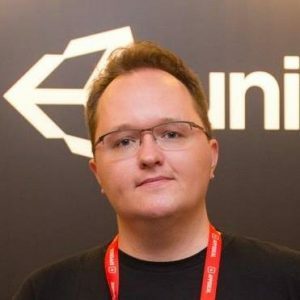 Roman will talk about technical features, problems and his own approach to work with sound in Unity without using additional sound middleware. 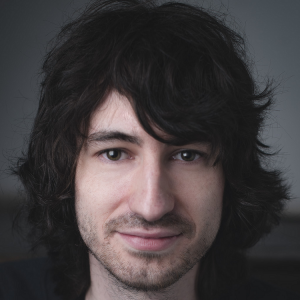 Arseni Khodzin is composer, soun designer in music/game over 10 years. 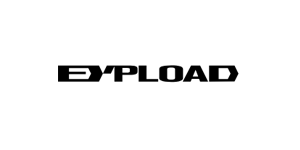 His company creat software and tools for sound designers and composers. His passion is Artificial intelligence and how is affect a music industry. Arseni will tell what awaits the world of sound design and music in the near future. Is it worth to fear artificial intelligence in creating music and design? How soon the time will come when the music will be written by the Artificial intelligence? 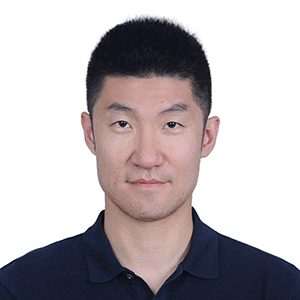 Yauhen Trubin began in game 4 years ago, making World Of Tanks PC, World Of Tanks – Blitz. Ambience is an often undervalued area of video game sound. It’s the canvas upon which all the spot effects and music sit, but it also has a much more powerful interactive potential. This talk is about generating levels and interactive soundtrack in games. It will explore how using a good level generator can discover new aspects of a game and how real-time generation of soundtrack creates the unique game experience. Step by Step: footstep SFXs as means of character customisation. From recordings to Unity3d integration. 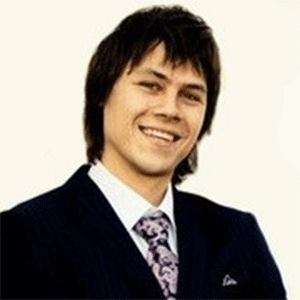 Aleksey Vanchuk is a professional musician, composer-instrumentalist. 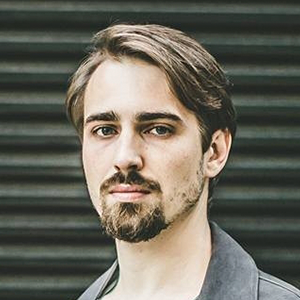 Since 2011 he has been creating music and sound effects for games. From 2014 he is responsible for everything that is related to sound at Heyworks. That’s one small step for a character, but one big leap for a player who gets the first impression of the animations, graphics, physics, and of course sounds of the game with the first character’s footstep. In this talk, the audience will get the tips and tricks of creation and Unity3d integration of the footstep SFXs. 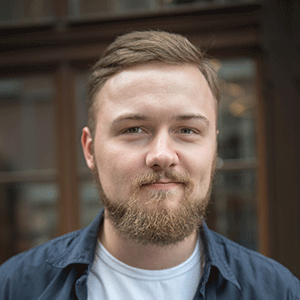 Ales has over 2 years of experience in music apps & games development. 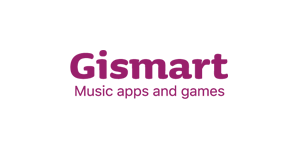 At Gismart he has worked with App Store top apps such as Piano and Beat Maker Go. At the moment Ales is working on Karaoke Face. In his speech, based on Karaoke Face and Beat Maker Star apps, Ales is going to talk about additional requirements for the apps with real-time audio processing as well as difficulties which iOS developers encounter during working on it. 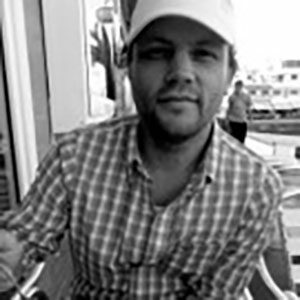 James Brough began designing in 3D well over a decade ago, creating 3D for Architect firms in London. 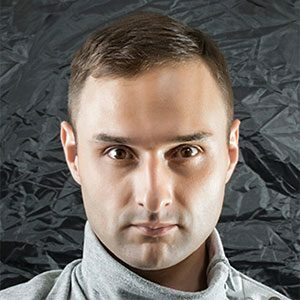 He transferred this expertise to create Environments for War Robots, WR: VR, and now works as a Lead 3D Tech Artist at Azur Games with popular titles World War Heroes and Planet Commander. This session will discuss 12 fundamentals that are incremental in Level/Environment Design for Mobile Games, using real reference from popular Mobile Games. This talk is helpful for Artists/Designers who are approaching Level Design/Game Environments for the first time. 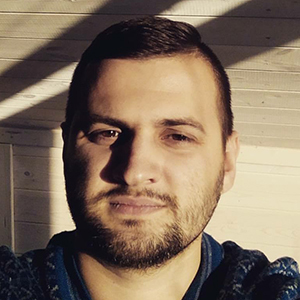 Denys Voroshylov is experienced Product Marketing Manager with a 4 years history of working in the mobile games industry and 12 years in marketing overall. 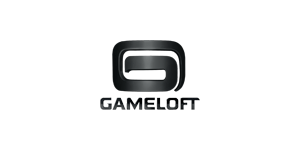 Last 3 years Denys work with Gameloft company and responsible for such brands as Gangstar Vegas and Aphalt Nitro. The important tool to make player’s profile more efficient is the method of creating of behavior model based on measurements, results of the researches and analysis of opened sources. The key point is to make out real people of the cohorts and measurements, to understand the sequence and motives of their actions, to distinguish archetypes. 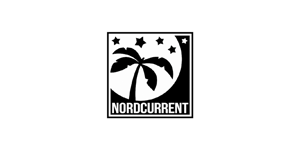 Gediminas Tarasevicius is a game designer at Nordcurrent, working with remote teams on free to play projects for mobile. 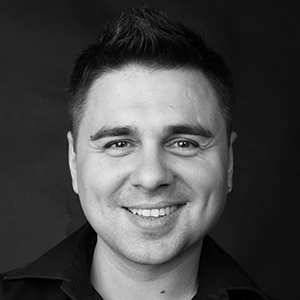 Gediminas supervises the processes of UI development and the flow of user experience. 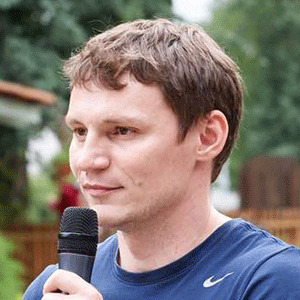 He is also the founder of Lithuanian Game Developers Association. Anastasia Kolchina. 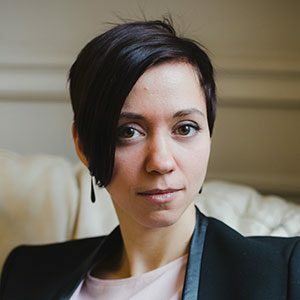 She started off as a 2D & 3D artist in game development, and her main responsibilities were designing and rendering interfaces (and other tasks). 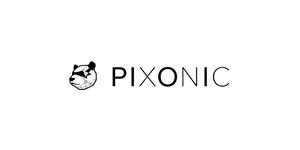 2016 marks her arrival at Pixonic, where she was managing features for War Robots. Starting from 2018 she became a Lead Game Designer. This talk is about complete revamp of battle UI of War Robots. Developers threw away all the old code and started from scratch without leaving the game in shambles. It gave some certain benefits: they managed to achieve positive change in metrics, accelerated development, and introduced new features. How to publish a game with Steam & make $1M in your first year? 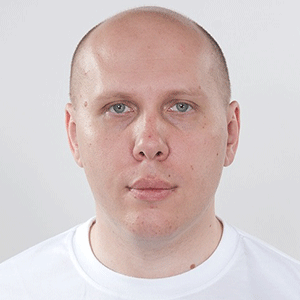 Fokin Dmitriy, CEO of CarX Technologies since 2016. Working on game / IT projects with 2008. How to fail your first indie project... And then turn it into success! 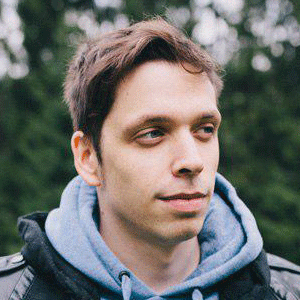 Andrey Popovich has been working in game development for 12+ years. He worked in different companies and participated in creation of more than 15 released games (including World of Tanks Blitz). A few years ago he got hooked by an indie game development. Now he’s working on a new ambitious project. This talk is about long and complicated development of an indie game ‘State of Anarchy’. The project was developed by a team of enthusiast with zero budget. After a long trial and error cycle the game finally become a success with a console release. This talk also touches basic principles of running a team of enthusiasts. 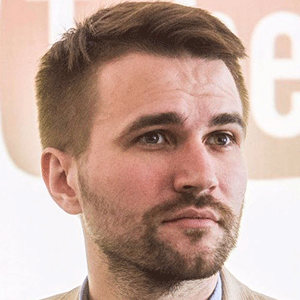 Vladimir Beletsky is the leader of an indie studio Morteshka. Creator of the game called The Mooseman. 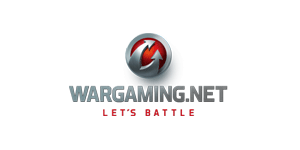 Previously worked on Tanki Online and Tanki X. This talk will follow the development of “The Mooseman” and will guide the listeners through the game history as well as the decisions that were made during the game creation (good and bad). The session will touch such things as work with the museums and cultural institutions as well as discussion of cultural context of the game. 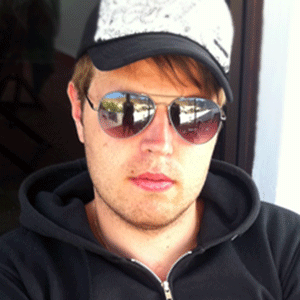 Sergiy Petrov is one of the founders of the Last Level studio, took interest in game development at the age of twelve. He began with creation of modifications for his favorite games and ended up with a big studio, which re-invented 3D-shooters on mobile devices with a console-level graphics. 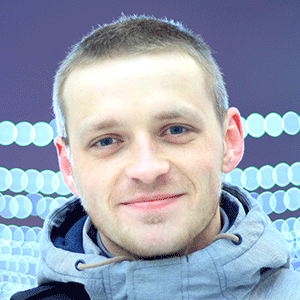 He was born in Saint Petersburg, and got passionate about 3D graphics since childhood. 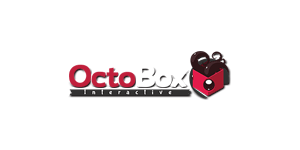 10 years of experience in the gaming industry and working with 3D graphics. Post-mortem about a shooter for mobile phones – World War Heroes. 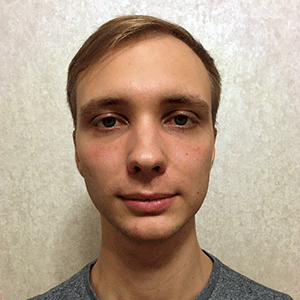 During the session, Sergey will talk about the technologies, methods and technics of monetization and share his experience in the development and the operation of mobile shooters. 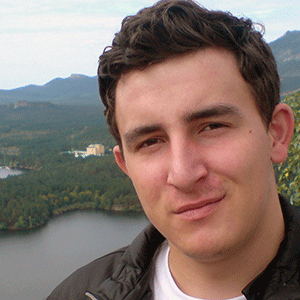 Maxim Babichev graduated from the Saint-Petersburg State University of Economics where was studied computer science and economics. 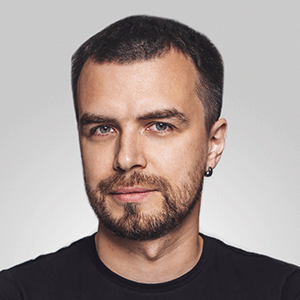 Joined VK team in 2007, the Developer Advocate since 2014, Head of Games since 2017. 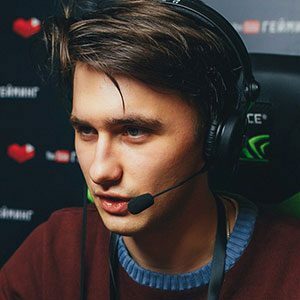 Maxim is building and growing VK gaming ecosystem. has been working in the gaming industry for 5 years. 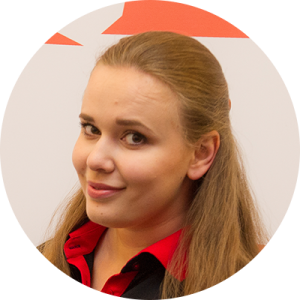 She is responsible for collaboration with developers and gaming platform partners at VK. The representatives of VK platform will give a talk within 300 seconds about innovations in games and plans for the near future. After that they will organize a Q&A session with the audience. Therefore, you can ask any questions from inner workings, getting featured to plans, data, and overall situation. Sometimes we get data from the Profiler we are unable to explain. In this talk Valentin is going to show examples of such cases and provide relevant low-level info to explain what’s going on. You will learn about CPU frequency scaling, threads fighting for CPU time, effects of JIT compiler, and much more. 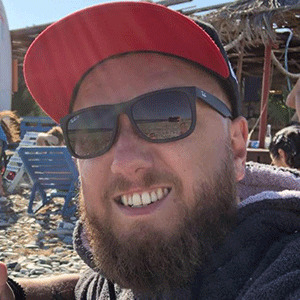 Ben Sharples started in games 10 years ago, and since then has worked as a technical designer, scripter and gameplay programmer on a variety of AAA and mobile titles including Star Citizen, LEGO City Undercover, Rainbow Six Siege, Overkill’s Walking Dead and Hungry Shark World. This talk is about the relationship between vision holders and the technical experts who try to implement that vision – represented here by games design (Steve Thornton) and programming (Ben Sharples). It covers common conflicts and frictions, with the goal of providing fresh perspectives and tools to help navigate the divide. Konstantin Grabar. Product Director. 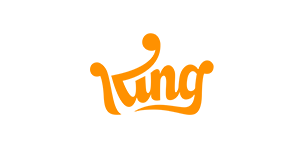 Head of Ad Server & Analytics в Appodeal. 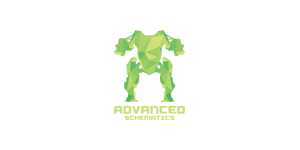 In charge of analytics inventory developing and users ad campaigns. 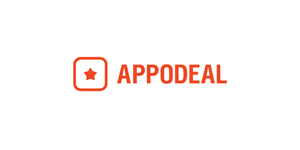 Appodeal is the full cycle solution for mobile applications monetisation. 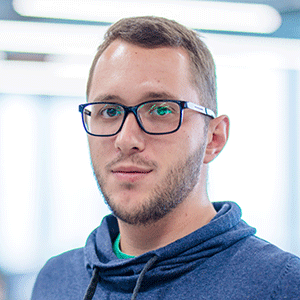 Konstantin will talk about how monetisation service works and share Appodeal’s experience in processing hundreds of millions ad impressions daily. 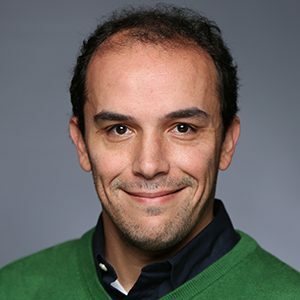 He will also dwell on how Big Data can help in creating your own highroad analytics systems and to work with millions of devices all over the world. Juicy motion is key for good game feel. This talk shows how to exploit a bug in how computers do maths in order to make great feeling motion that you can use anywhere from character physics to UI. 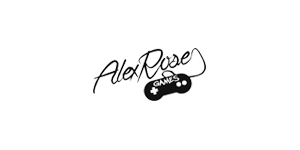 Alexander is CEO/Founder of indie game company, former tech lead at Techno Bears LTD and Destiny Development. How to effectively use shaders: tips and tricks how to maximize performance, add style to the graphics + non-trivial ways of using shaders for vfx and animations. 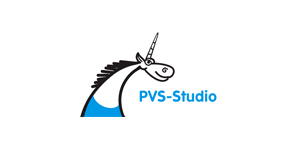 Andrey Karpov is one of the founders of the PVS-Studio project. 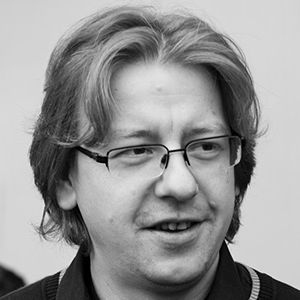 He is the author of many articles devoted to writing quality and secure code in C and C ++. Microsoft MVP in Developer Technologies category. You need to be extremely careful writing in C/C++ 64-bit programs that work with big data. In 64-bit code, there are special subtle errors, which are rarely told in books or at conferences. The author will examine the patterns of 64-bit errors and give recommendations on how to write code that is protected from them. 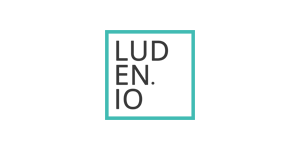 CEO in Luden.io, focused on meaningful games. R&D Lead in Nival, focused on VR/AR. This session will highlight the main events from the world of machine learning for the last two years (after previous machine learning talk at DevGAMM Moscow 2017). What’s happening, how we can use it in our daily production, what is almost here and will be released tomorrow. 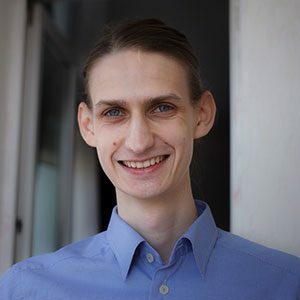 Vlad started his professional career as a full stack java web developer on enterprise projects, although the creation of games was already his hobby. 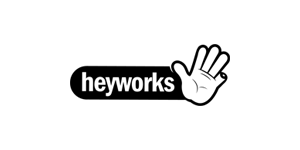 Today he works on new games at Heyworks. Shortcuts, macroses, integration with Unity, VCS, databases – I’ll show you dozens of Rider tools that will make your development a lot more faster, pleasant and reliable. 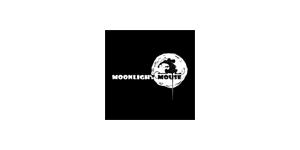 Application Developer with 5 years of enterprise development experience, the last 2 years I’m an indie developer of games, both my own and in Moonlight Mouse, the whole conscious life was moving to getting to gamedev, the main direction of C #, also very fond of shaders and graphics programming. 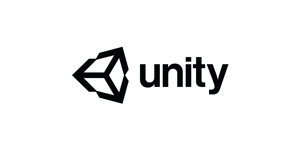 It’s not a secret that Unity set a new course for the engine, the innovations of the versions of 2018 brought a huge heap of features, and one of the most important are the ECS and the Job System. Today I will tell you about our experience of moving to them in a production project, the difficulties we faced and the pleasant results we achieved. 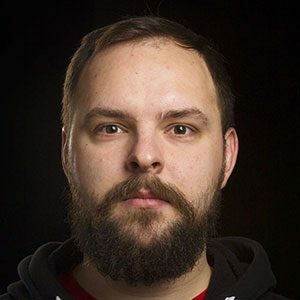 Kirill began in games 6 years ago, making games for Facebook in Flash, then mobile games with Unity. 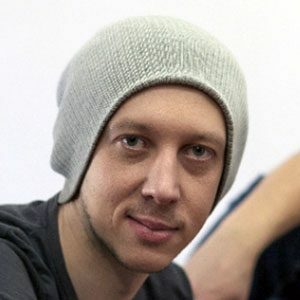 He has worked on CarX Highway Racing as a lead Unity developer, on Nekki’s Shadow Fight 3 as a graphics programmer and he also has a popular PostProcessing package for mobiles on the Assetstore. This talk covers the most commonly encountered problems with graphics when implementing Unity games on mobile. It will explore the standard shaders and pipeline usage, some insights on 2D, uGUI performance and native profiling using GPU-specific vendor tools. The session mostly covers OpenGL ES 2.0 related features and content. 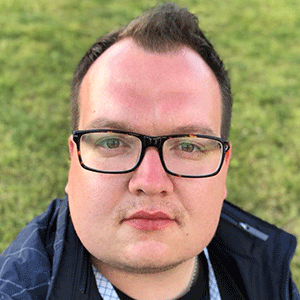 Yuri is the head of Experiential Marketing at Family Agency, working at the intersection of technology, science and art, has more than 8 years of experience in developing commercial projects with a focus on new user experience: game activations, audio-visual installations, VR/AR. ARt is an experiment based on the rethinking of art masterpieces in augmented reality. The main idea of the project is the observation of great canvases in everyday life. The works of Magritte, Malevich, Dali and other authors are now available at any time, anywhere. Enough to have on hand phone. The application, created on the basis of the Unreal Engine, opens the door to the world of art for users. In the session: natural user interfaces — best practices, platform native features for Unreal Engine, Apple rejects and how to deal with them, CI/CD pipeline: slack and automatic project builds. 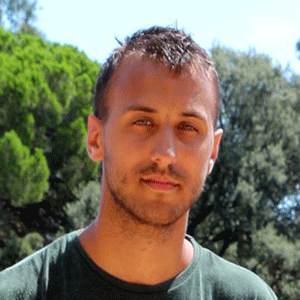 Vladislav Ivanchuk – CEO, Programmer at MadOutGames. He has been working with games developent over 10 years. There were projects that were developed on their own engine, now they are making games on Unity. It takes a lot of time and energy to create a big and open world on Unity, especially for mobile games. MadOutGames spent over 3 years on development. In this session, they will share a collected useful case studies and pitfalls. 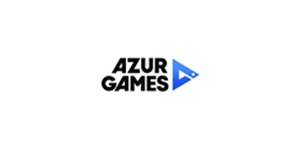 Sergei Kurzov, Game Designer, Abelana VR Productions, Inc.
Roman Multan, Unity3D Engineer, Abelana VR Productions, Inc.
Kate Dorozhkina, Project Assistant, Abelana VR Productions, Inc.
Serge Kursov entered the gaming industry through participating in various indie projects for mobile & desktop. 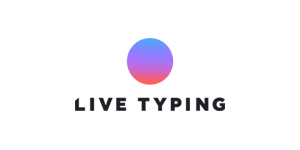 In 2018 joined the Abelana team as a game designer/PM. 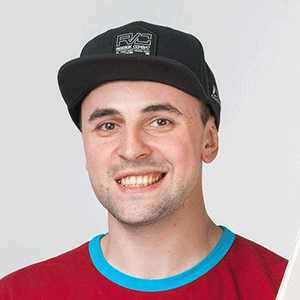 Serge’s currently specializes in educational and gaming projects in VR for HTC Vive, Oculus Rift. Active hackathon participant. 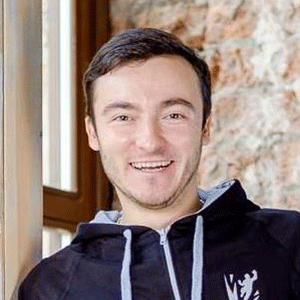 Being at an early stage of his career, Roman is showing huge potential in software engineering. Having 5+ completed Unity based projects behind him, Roman is focusing now on VR experience. Active hackathon participant. Kate is new to the IT world, but she would like to explore this side of the world, and showing really great results. She dreams big and makes it happen. Loves food, films and books. After revealing the impact of VR on the students’ progress, Sergei and Roman will proceed with the description of their own product, its development and intricacies. The audience will have the opportunity to attend the virtual room and participate in the educational VR experience. In conclusion, the speakers will talk about working with VR arcades. 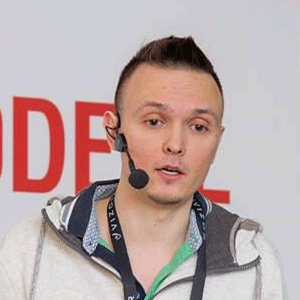 Vsevolod Piletski is Lead Developer of Interactive Moolt. Began his career 4 years ago as C# developer. 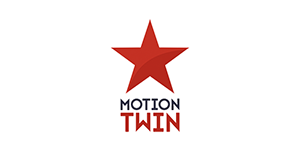 He has been working in Interactive Moolt more than 2 years making games for iOs and Android. I will tell about using pattern MVC with Unity3D engine. Advantages and disadvantages of the pattern in general and unique to Unity3D. I will talk you through the process of implementing such structure, and provide some examples of my own.